After a 12 hour bus ride from Panama City to Bocas del torro and three cloudy days spent on Isla Colon in Bocas del Toro, we made our way over the border to our first point of call in Costa Rica- Puerto Viejo. The border crossing itself was quite an experience. After exiting Panama you have to walk over a bridge to Costa Rica. The bridge is over a river and was literally falling apart. There were huge holes in the sheets of rusty metal that made up the floor of the bridge and it looked like it was all going to crumble away at any second.. It was terrifying to walk across! 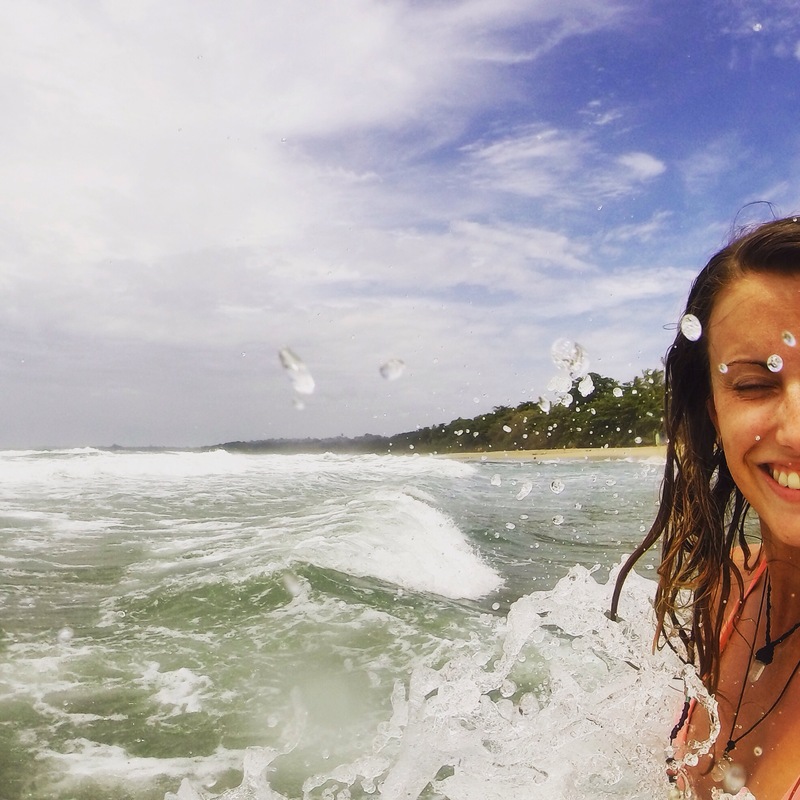 Puerto Viejo is a small beach town located on the Carribiean side of Costa Rica. It has a very easy going, chilled out vibe. It is filled with Expats, beautiful beaches, delicious restaurants, reggae bars as well as a big Rastafarian culture. When we first arrived to town, I couldn’t help but notice people (locals and tourists) riding around on their bikes smiling to themselves. “What are they smiling about?” I thought to myself. After a few days in this amazing town, I soon became one of those people riding my bike around smiling stupidly to myself. There truly was something so free and special about this town that just makes you feel so happy and grateful to be able to experience it first hand. Another thing I noticed was how friendly the Costa Ricans (or Ticos as they are nicknamed over here) were compared to their neighbours, the Panamanians. It’s not that the people of Panama were unfriendly, it just seemed to me like they had forgotten how to smile. Costa Ricans on the other hand, seemed to always be smiling and laughing. 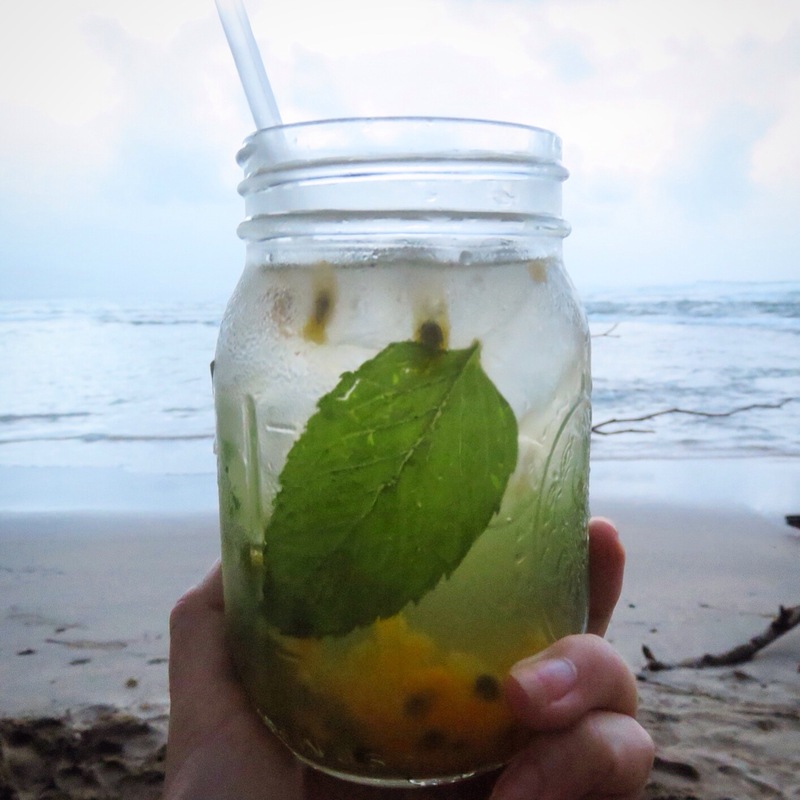 A very popular phrase to use here is “Pura Vida” which directly translates to “pure life”. It seems to be used in all sorts of ways such as ” here’s your coffee, Pura Vida!” Or “wow, what a nice sunset, Pura Vida! and I feel like you can pretty much interpret it any way you want. For me, it’s like the Costa Rican way of saying “akunamata ta”, “no worries” or “life is beautiful”. I wish I could say, “we did this, we did that, blah blah blah” to make this blog post a little more interesting, but in reality we didn’t do a whole lot while we were here other than eat amazing food, relax and cycle to the near by beaches. It was perfect. Below is my list of things to do, places to stay and restaurants to eat at.. There isn’t a whole lot to do in this town but relax so if you are looking for an adventure packed holiday, this isn’t for you. 1. Check out the Jaguar rescue centre. It’s located 4km for the centre of town so it is easily reach by bicycle or a cheap taxi ride. 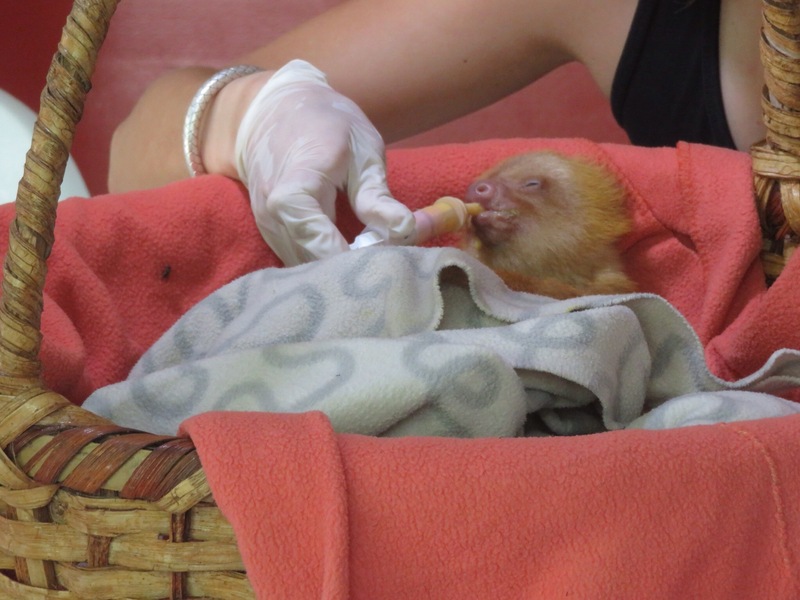 The centre helps to rescue and rehabilitate injured and orphaned animals with always a goal to be able to release them back into the wild again. 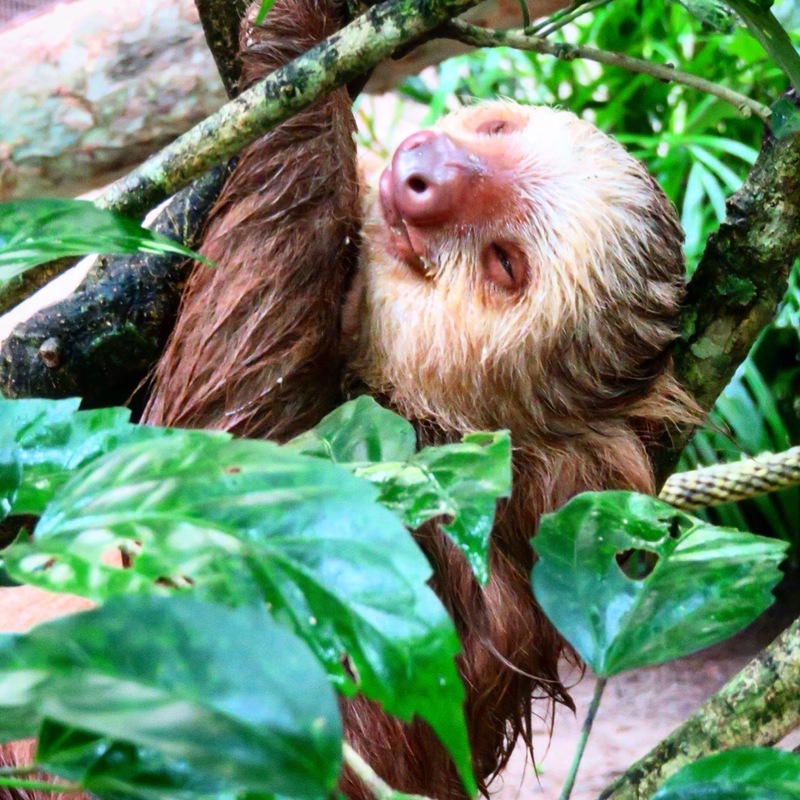 It costs $18USD for a tour that takes you around to see the animals and hear their stories. It lasts 1.5 hours. We got to see monkeys, ocelots, owls, toucans, raccoons, sloths and even a pelican. It was so nice to see how well these animals were cared for. 2. Hire a bike and ride to the surrounding beaches. 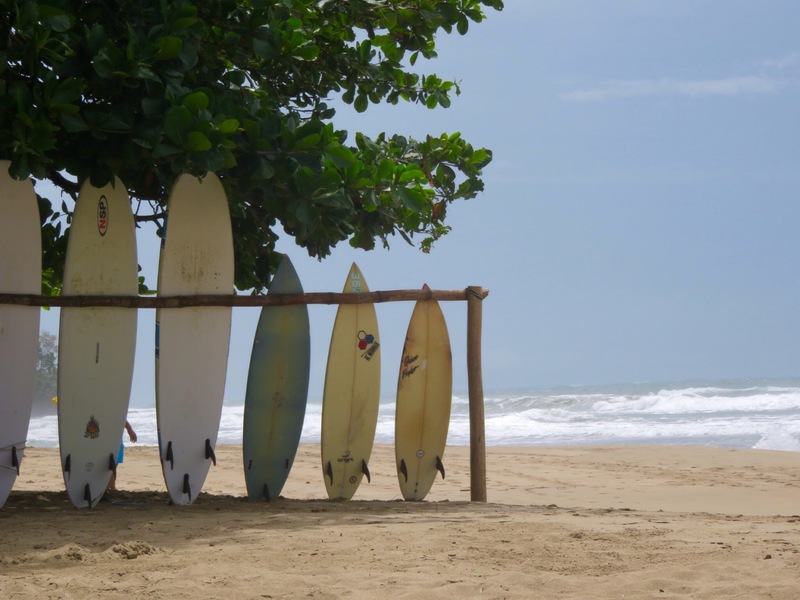 There is a beach located right in town but it isn’t the best for swimming or surfing. You can hire a bike for $6USD for the day. 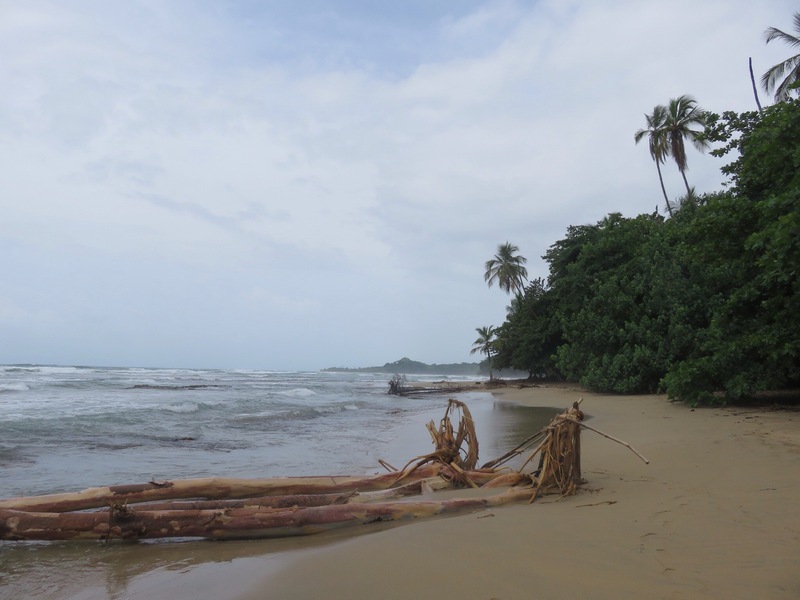 The first beach is only 2km away and is called Playa Coccles which was our favourite beach to visit. 4km away is Playa Chiquita which is known for snorkelling and Punta Uva is 8km away which was also a really cool beach to hang out at and drink some fresh coconuts. 12km away is Playa Manzanillo, which is supposed to be a great beach with a cool little town, but to be honest we were feeling too lazy to cycle the 12 km. The sunsets here are beautiful. Head down to the beach or even to the famous beach bar ‘Salsa Brava” and enjoy some happy hour drinks, live reggae music and a stunning sunset over the ocean. 1. All the cool kids who like to party stay at Rocking J’s hostel which is about a 5-10 minute walk out of town. It’s best to take a taxi after dark as muggings have been known to happen. 2. 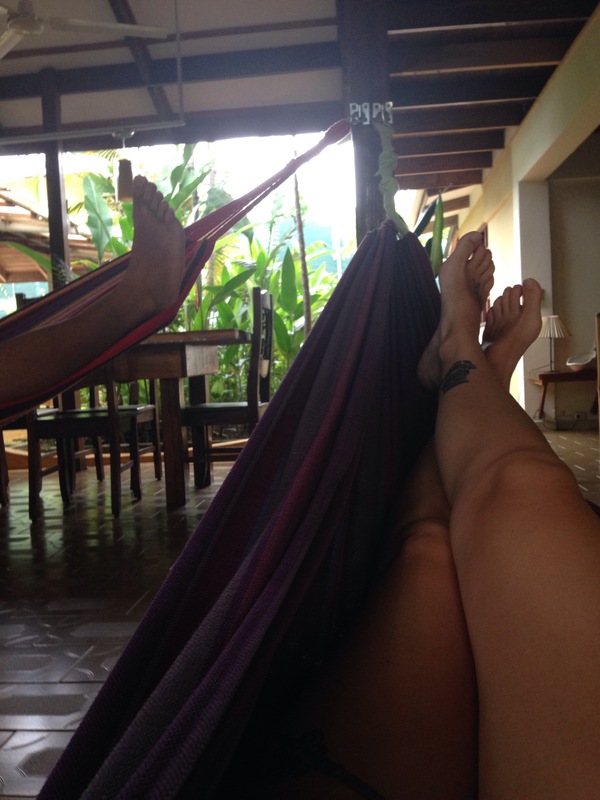 If you want to chill and relax (like me) then I highly recommend Hotel Pura Vida. It’s located on a quiet street and is like a hotel with hostel prices. Ourroom had a big balcony with a bird feeder on it so we could watch the humming birds come and go, it was perfect! 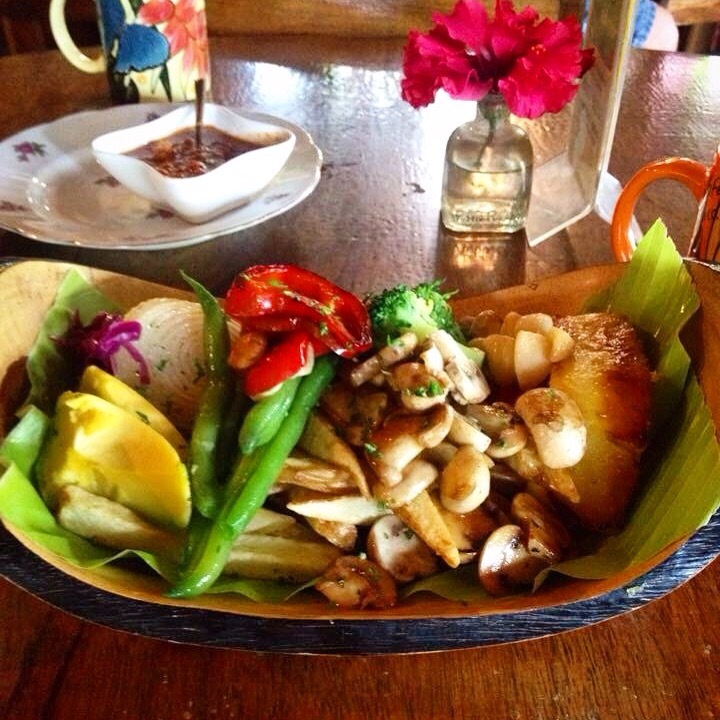 With so many Expats in town, there are a lot of excellent restaurants in town serving up Western food. There is also a lot of traditional, family run restaurants called ” sodas” which serve up delicious, traditional food such as meat, rice, beans and fried plantains. This place is heaven. Basically everything on the menu is made from scratch. 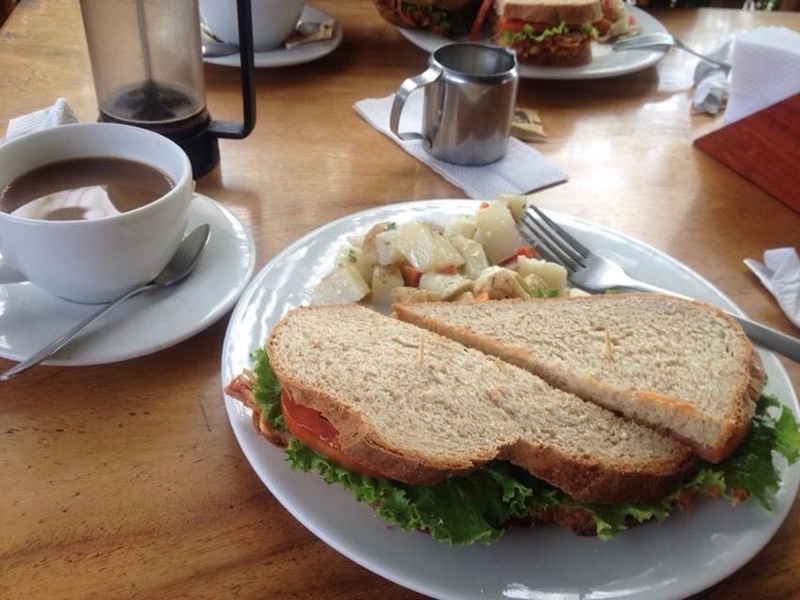 From the delicious bagels to the chocolate made from local cacao. I was so sad that we only got to eat here once as they shut for renovations for the rest of our time there. I’m pretty sure I could have eaten there every day otherwise. Try the jerk chicken sandwich and the Mocha cheese cake! This cute little restaurant doubles as a book exchange, laundry, bike rental and can rival the breakfasts at Bread and chocolate. We ate breakfast here more than I care to admit over the 7 days we spent in the town. You have to try the Ana rosa special which includes, potatoes, avocado, eggs, amazing bacon and roasted garlic or you can have the vegan version of that called the Pachamamma which has potatoes, avocado, green beans, spinach, broccoli, mushroom, peppers and roasted garlic. Both dishes were to die for. My mouth is literally watering thinking about them. This restaurants has a cool vibe and literally has flip flops pinned to the walls. 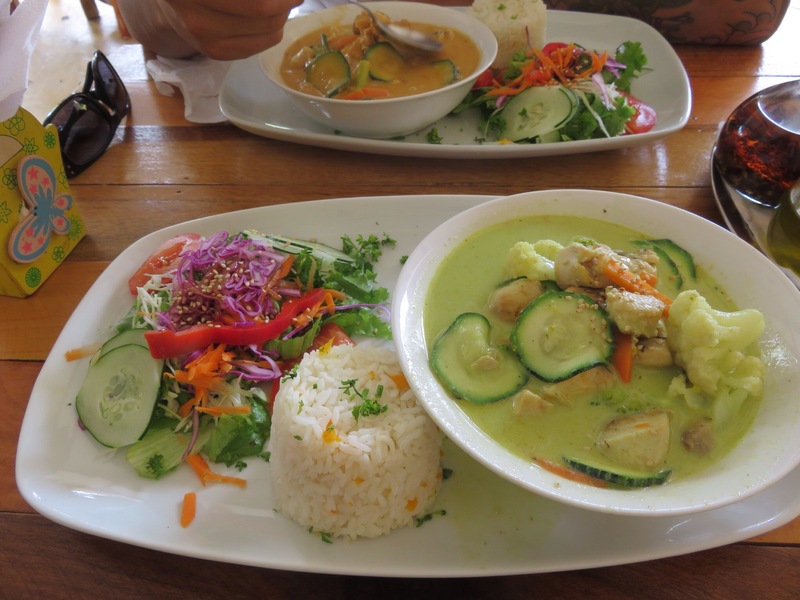 Try the Indonesian peanut curry, the green Thai curry or the pesto pasta. If you ever get the chance to visit this beautiful town, I hope you enjoy it as much as I did. Oh, and try not to go in rainy season as it rained and thunderstormed ALOT while we were there.